Decor trends change over the years and between seasons. From accessories to paint colors and wall coverings, there are many fads to choose from. Floor bleaching is a popular one for many homeowners. Below is a brief overview of the process and why you need a professional to assist in the endeavor. If you don’t like the way your hardwood flooring currently looks, then consider bleaching it. The specialized finish makes the material look older and more antique. It dials back the intensity of the wood grain by using a lighter color. Some people even bleach the floor entirely, turning it shades of white and grey for a chic, modern, and polished vibe. Bleaching requires an application of caustic soda and hydrogen peroxide. The mix reacts to create foaming bubbles. You can repeat these steps until the desired level of lightening occurs. When it’s ready, apply sealant to the flooring to protect it from wear and tear, and add a smooth matte or shiny finish. Why Should You Leave It to a Professional? Do-it-yourself projects often result in lasting mistakes. For instance, if you apply the stain unevenly, it will make the wood appear blotchy. Improper timing leads to discoloration and streaking. A professional has the tools and experience to ensure your vision comes to fruition. They offer expert treatments to elevate the value and aesthetic of your home. 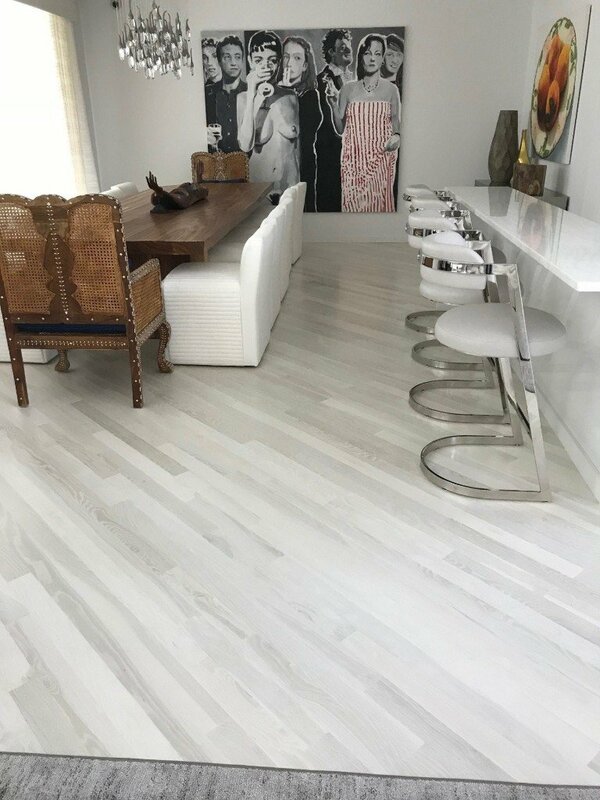 If you need assistance bleaching your floors, turn to the seasoned team at Hamptons Wood Flooring in Suffolk County, NY. Their trained contractors will assist with selecting flooring materials, as well as staining or treating them to create the design you want. They work with every type of wood, from oak to walnut and bamboo. Call (631) 839-7397 today to schedule an appointment to discuss your project and needs. Visit the website for more information on their finishing options and to view a gallery of past work for inspiration.